Welcome to all my friends today I am going to tell you how you can Add Amazon Affiliates Ads to Blogger with pictures and earn more money. 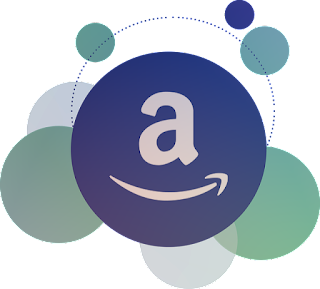 Amazon is the largest online market or you could say it the world biggest online shopping website, monetizing from Amazon is not any rocket science which can gain you a decent amount of money. it's free of cost and you can get it started even today without any fuss. Step 1: Go to "Amazon Affiliate" Website and login with your Email Id and password here you have to select the product and choose two option either click the product link or click the banner link. Step 3: Move your cursor over Link and Banner to get to the drop-down list. Under this Click "Banner Links "So depending on the adds space on your blog you can select the adds the Standard size of banner adds is 300*250 but you can select according to your need. Step 4: Click the link, Once you click on the given link the page will show the highlight HTML code, copy the code. Step 5: Now Login to your blogger account Navigate to Layout section which has the layout of your blog there click on the "Add Gadget button "Paste the code in the content area and click save button. Step 7: Go to your blogger blog and you will see the magic your ads will be clearly displayed its good practice to place your ads on such places where people could easily find it and click buy the product.